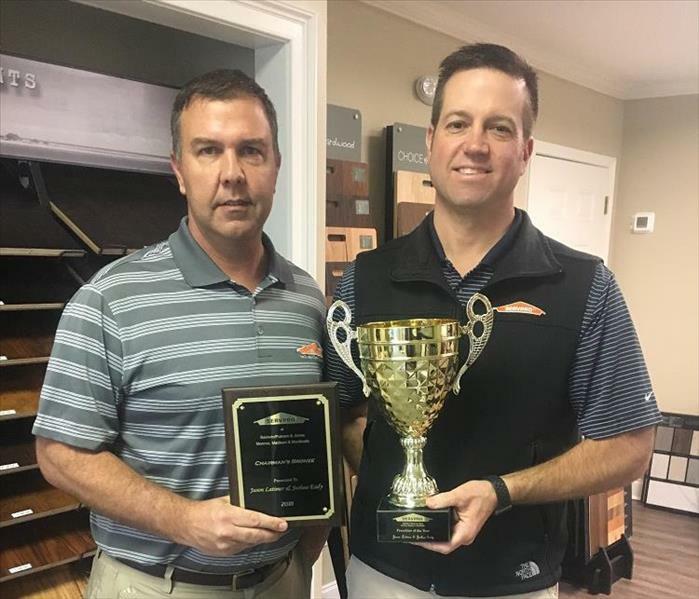 Owners, Jason Latimer and Josh Eady, proudly display their recent awards - Best of all - Franchise of the year in Georgia. A true testament to a hardworking team and great leadership. 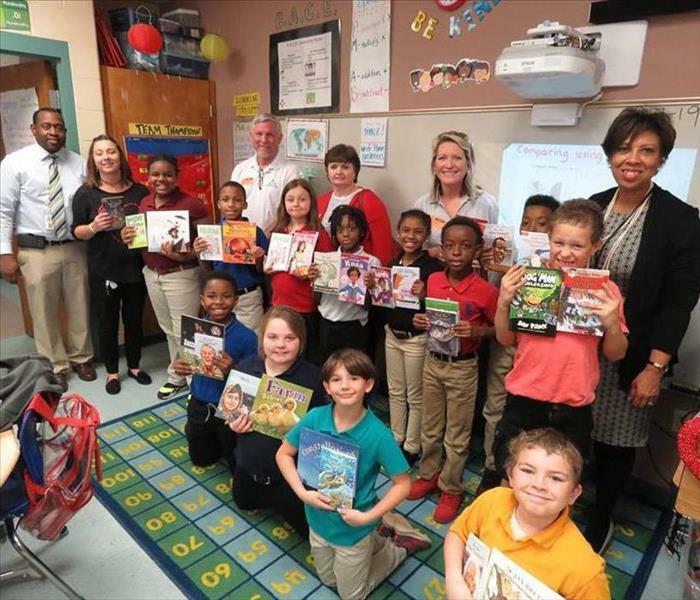 Marketing Manager and Rotarian, Ashley Bacon, enjoyed assisting with book donations to kids at Midway Hills Academy. 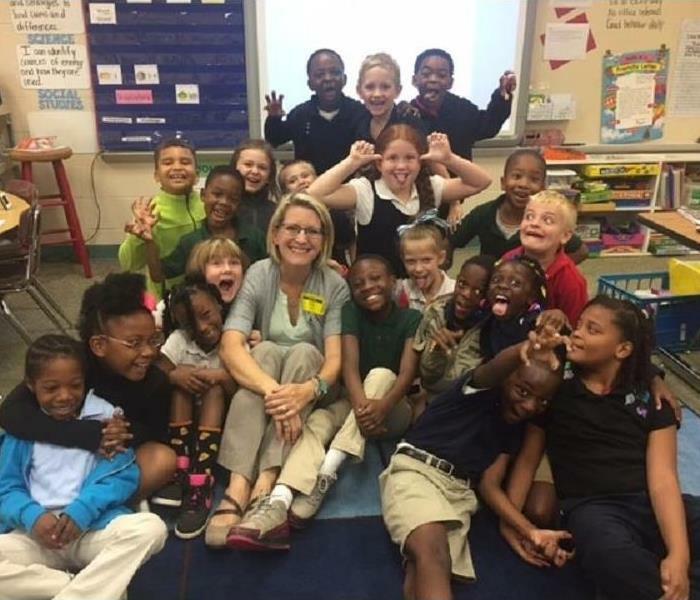 Great readers make great leaders! Time to break in the newest vehicle in the fleet! 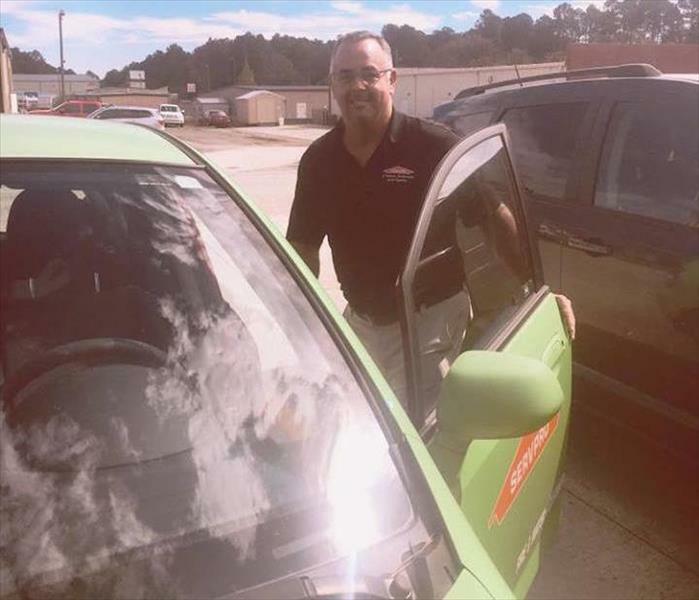 Todd Prestridge has been called to a water damage assessment and he's loading up in the newest "mustang" in the fleet - the trusty Honda Fit. 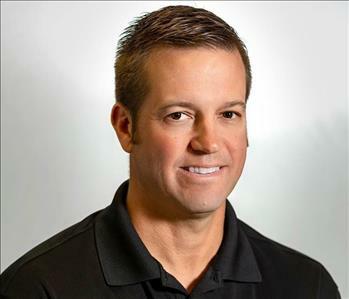 Go Todd go! Backing the Burn Foundation for another fun tournament! 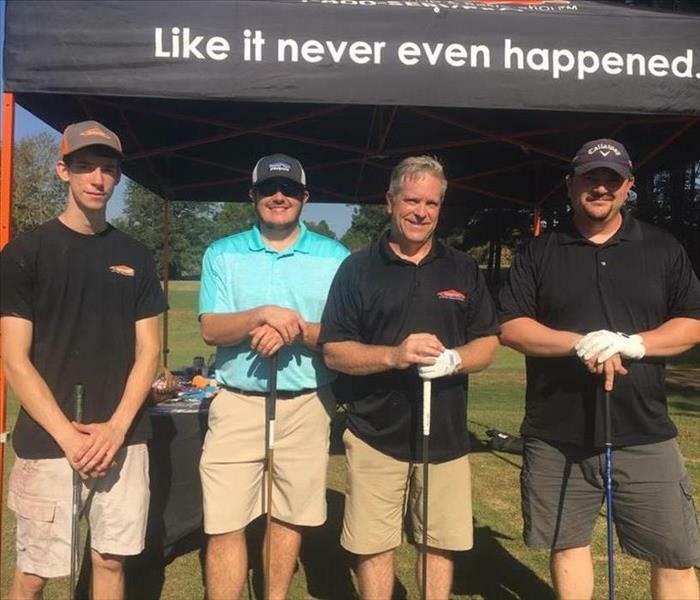 Our Ops Manager, Brad Jones and Crew Chiefs, Corey Batchelor, Gabe Reynolds and Anderson Stone, tee'd it up in support Baldwin County Fire Dept. 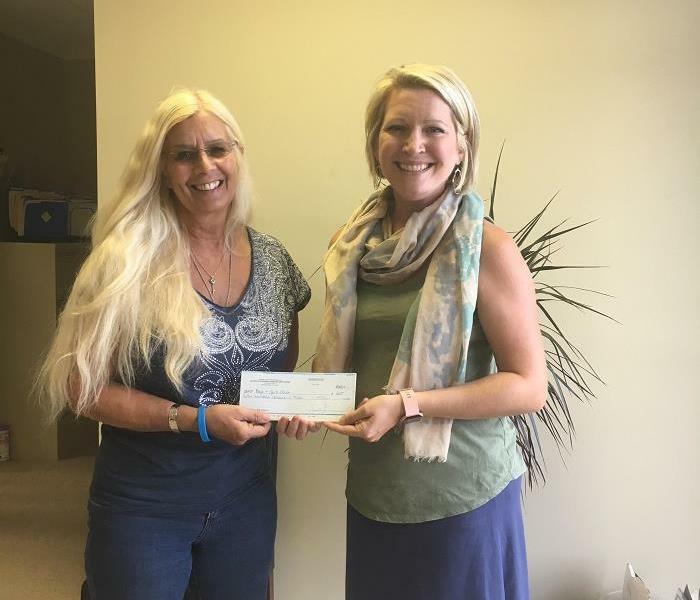 and their partnership to help The Burn Foundation. 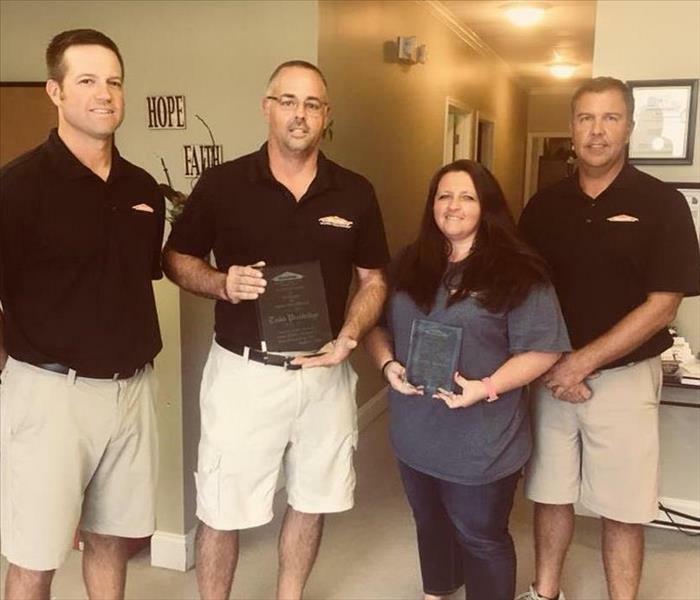 Owners, Jason Latimer and Josh Eady recognized Todd Prestridge for 10 years of service and Cassie Brooks for 5 years of service. Todd serves as our Production Manager and Cassie is our Office Manager. 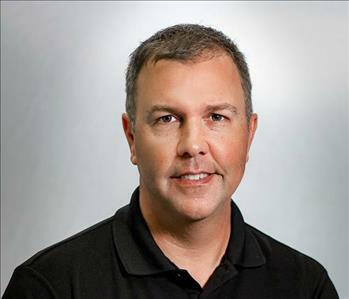 Our team depends highly on their individual expertise and appreciates them greatly. 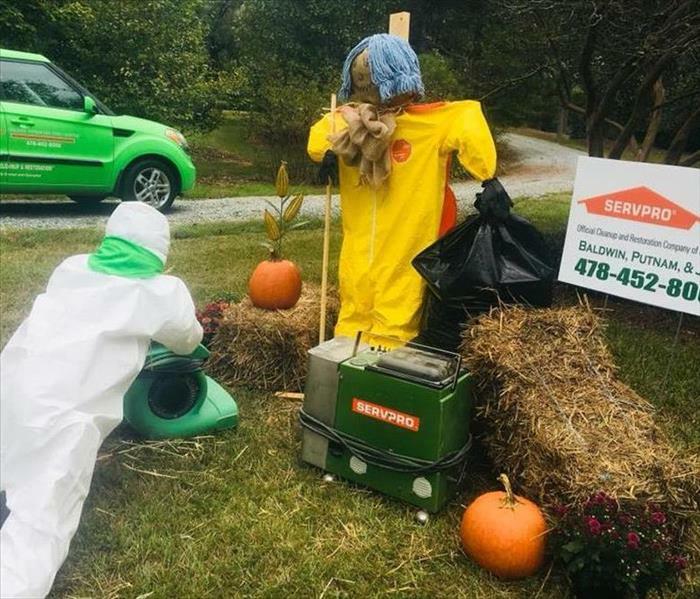 SERVPRO of Baldwin, Putnam and Jones Counties represented at the Lockerly Arboretum Scarecrow Contest. Pictured are Stormy and Blaze hard at work on a water damage! Go team go! 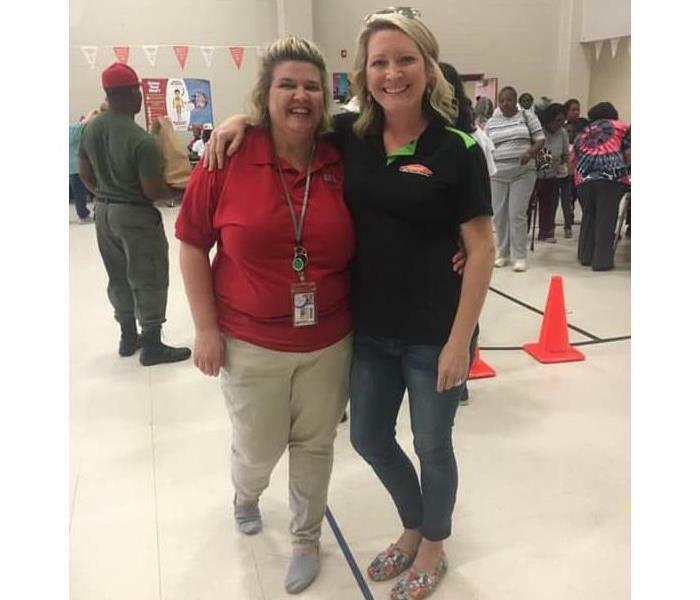 In keeping with the SERVPRO mantra of helping people recover from disaster, it's super important to engage with little kids and teach them ways they too can be good stewards for both their family and community. 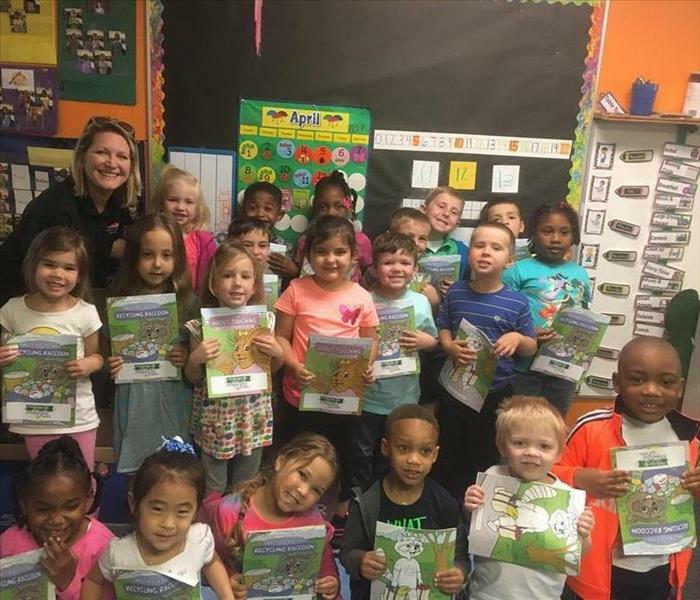 SERVPRO Marketing Manager, Ashley Bacon brought each of these cuties a coloring book and read. Our team really enjoys these opportunities to pay it forward when we can! 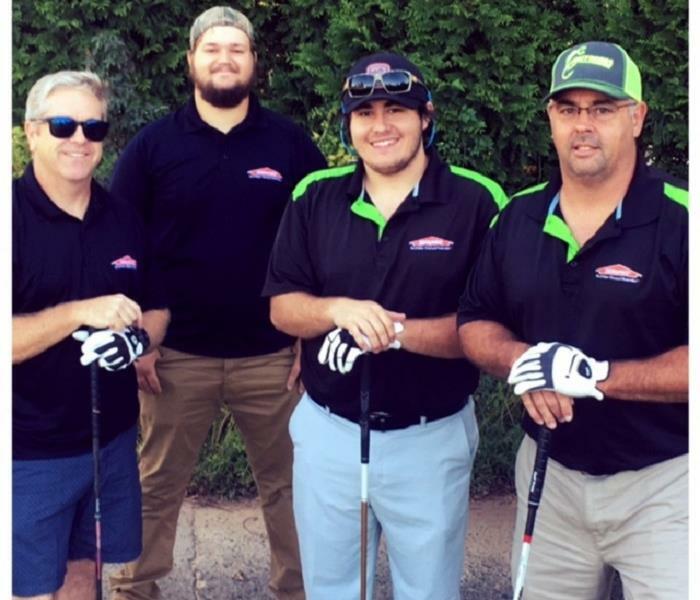 When SERVPRO is on the road, we like to have a good time! This happy patron was so excited about winning the marshmallow challenge, he decided to see if he could fit one in his mouth too. 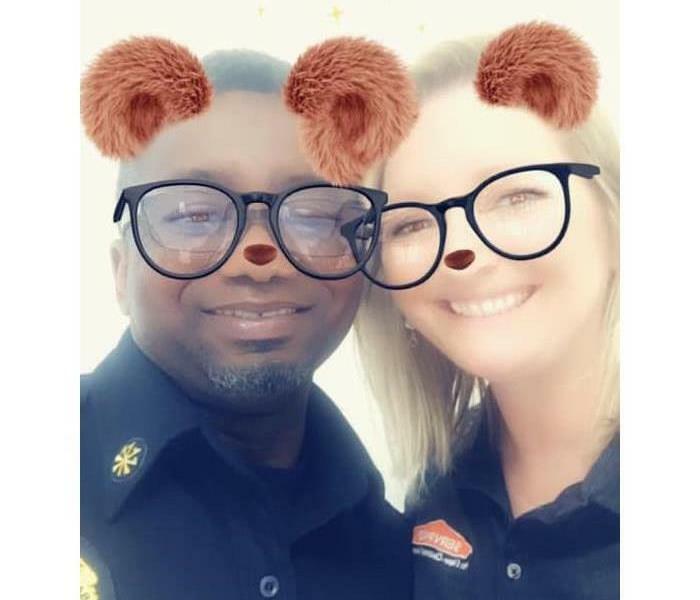 It's never a dull moment when SERVPRO is around. Marketing has never been more fun! 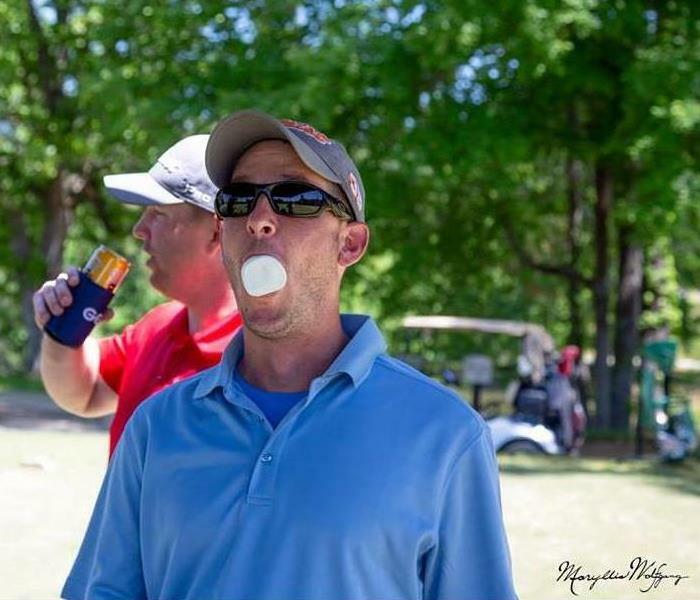 Ashley Bacon, marketing guru with SERVPRO of Baldwin, Putnam and Jones Co set up on Hole #10, welcoming golfers as they made the turn and offering a rather interesting game, the marshmallow smash. Golfers were challenged amongst their teams to see who could hit the (baseball size) marshmallow the furthest. The winner got to draw for a prize and needless to say, some prizes were "funnier" than others. Hitting the Links for the Chamber! 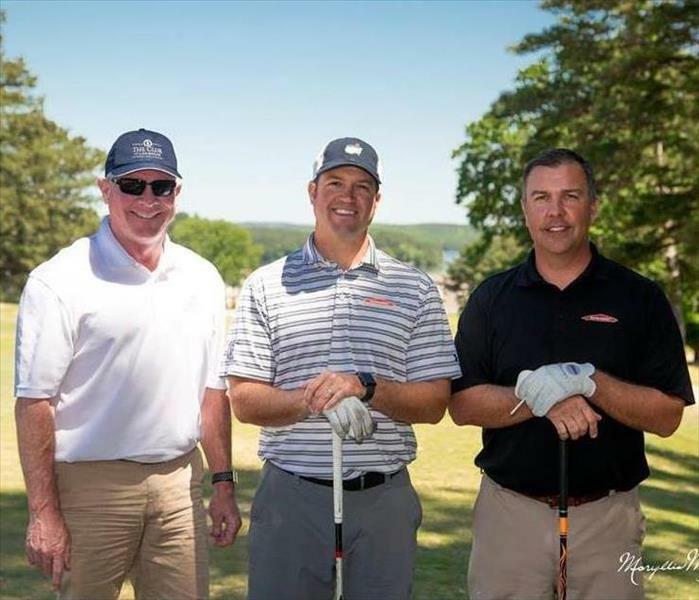 Owners, Jason Latimer and Josh Eady paired up with a local bank to show support for the Milledgeville Baldwin Chamber's largest event and fundraiser. We couldn't have ordered a more beautiful day! 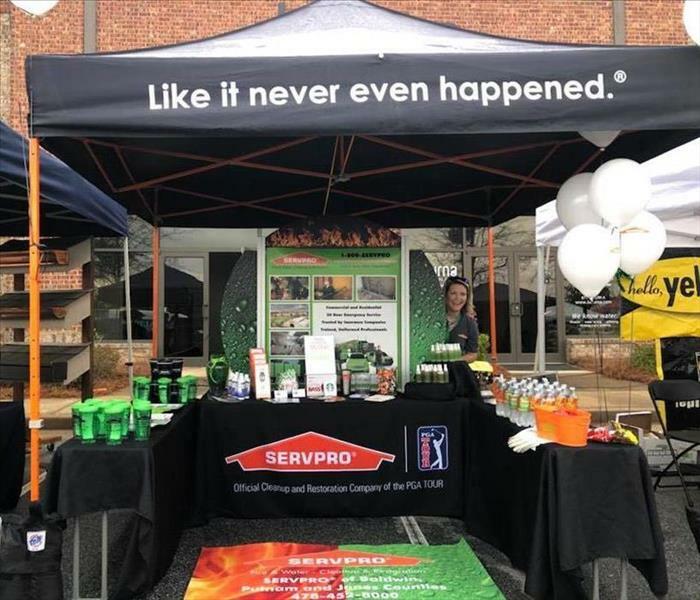 Members if the SERVPRO of Baldwin, Putnam and Jones Co team participated in the Lake Oconee Home Builders Association's "The Big Event" on St. Patrick's Day and interacted with hundreds of patrons as well as fellow vendors. A good time was had by all! Wrapping up a good day! 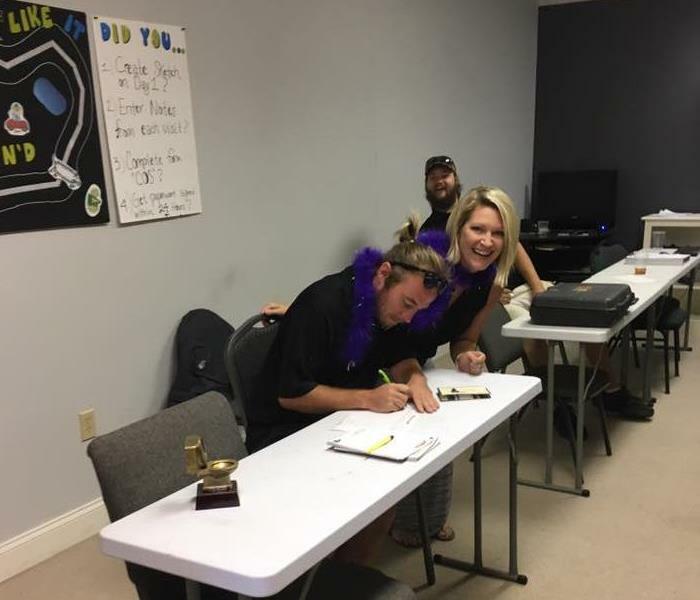 Paperwork is never fun, so it's always nice when your coworkers provide the necessary entertainment to help bring a smile to your face! 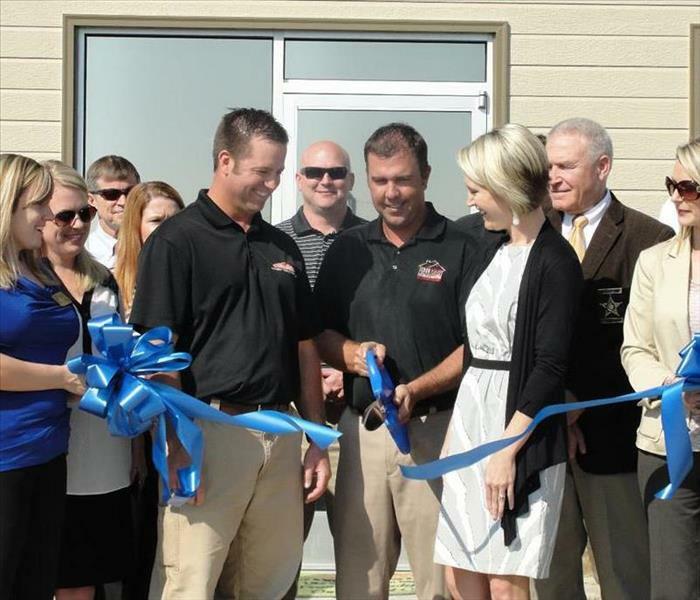 Members from the community joined together in the fall of 2013 as SERVPRO of Baldwin, Putnam and Jones moved to a new location, proving to maintain a successful track record and recorded growth. 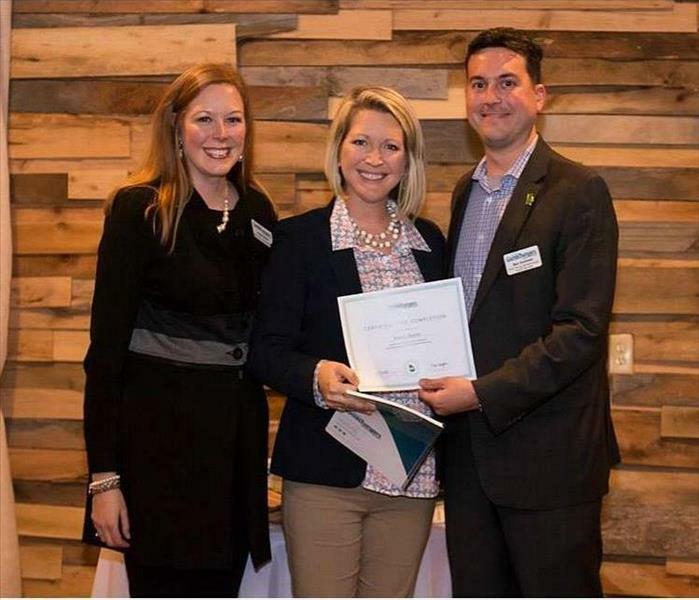 Ashley Bacon was selected as one of 50 participants in the Fall 2017 class of Young GameChangers and worked alongside a dynamic team of Georgians working to make Milledgeville & Baldwin County fruitful in economic development, retirement, education and brand awareness. 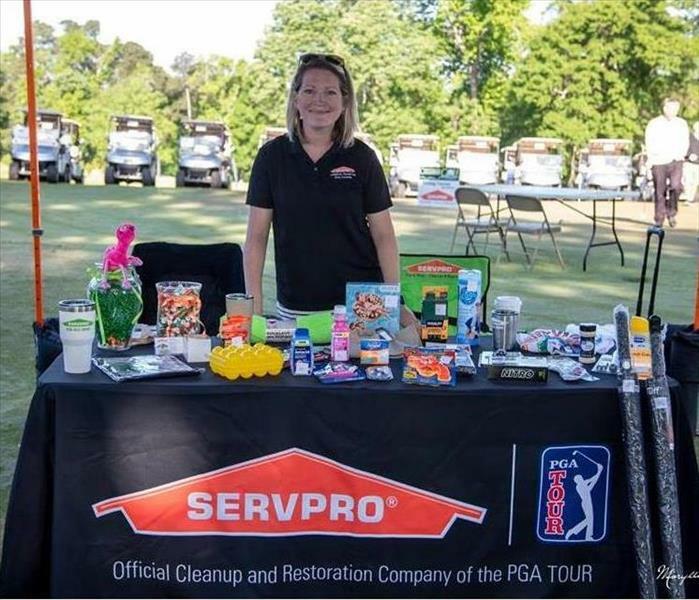 In 2017, the SERVPRO team contributed to Lowe's #1664 fundraiser for the local Boys & Girls Club. 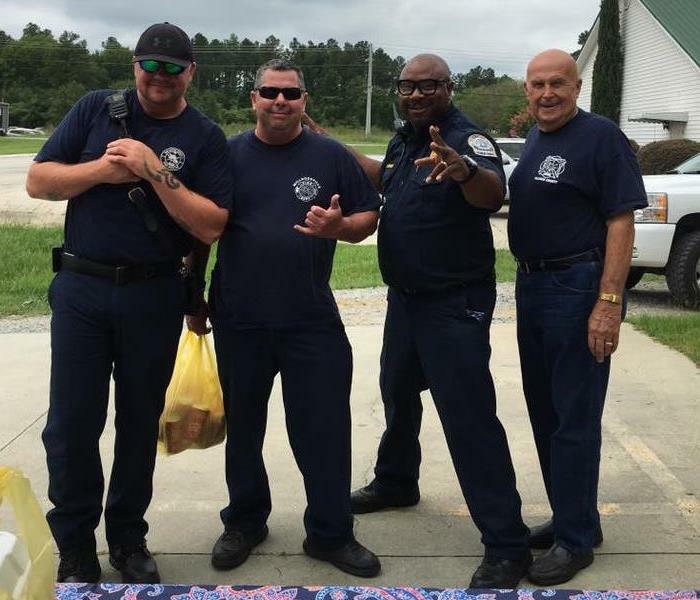 Local firefighters pose for a picture and I think they're happy!